As a proud mother of two healthy daughters, Denise understands what it means to have children of her own and sympathizes with women who are unable to conceive. When she heard about the success stories associated with acupuncture and fertility, she began training with the renowned Zita West fertility clinic in London in order to better understand how she could help hopeful women with her skills. She has since helped a number of her patients on their way to conceiving, including Stephanie, who sits across from me and tells me that seeing Denise was the first time that any sort of fertility treatment worked. 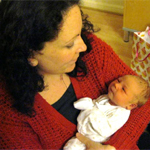 Stephanie had been trying for a number of years and had suffered a number of miscarriages. It wasn’t until she came to see Denise for fertility treatment that she conceived naturally without any help. Stephanie now comes in with baby Harley for cranial treatment, which assists with reducing the babies’ stress levels, aiding a better night’s sleep for both mother and baby. Founded over 300 years ago in China, the practice of acupuncture was developed to help maintain the body’s overall balance. After careful examination of their patients, Chinese practitioners observed that there are passages within the body known as meridians in which energy, or Chi flows through. The thought is that destruction of these paths causes physical and emotional imbalance. According to acupuncture theory, the insertion of acupuncture needles works to restore mental and physical wellness by stimulating certain pressure points within the body. This stimulation releases endorphins and allows the free flow of energy to continue. 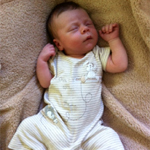 “I initially went to see Denise as she is a Zita West affiliated acupuncturist and therefore has specific knowledge of how to boost fertility. 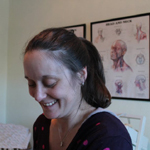 I had seen other acupuncturists during the years I was trying to get pregnant but noticed straight away that Denise was different. She carefully tailored each treatment in relation to where I was in my monthly cycle and to how I was feeling on each visit. 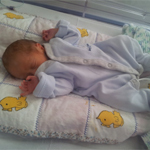 We underwent IVF treatment and saw Denise regularly throughout this, happily the treatment worked on our first attempt. Denise continued to treat me during the entirety of my pregnancy. I experienced back pain which was completely eliminated with her help and I generally felt well during the time I was pregnant with our twins. 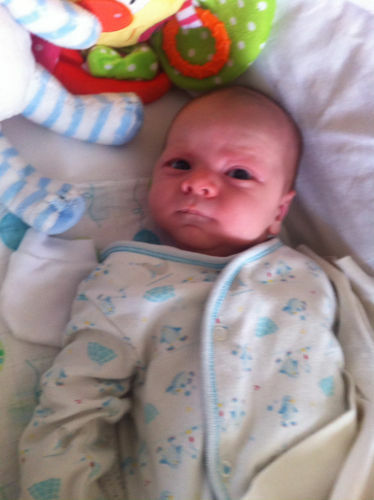 “Denise treated me for 3 months before I fell pregnant and then leading up to giving birth. My fertility history had a been a sad one with one failed miscarriage after another including an ectopic pregnancy and 2 rounds of failed IVF. I went to Denise, knowing she was Zita West affiliated, with the hope of one, preparing my body to fall pregnant again and secondly to help maintain my pregnancy. After weekly, sometimes twice weekly acupuncture sessions for about 3 months I fell pregnant for the 5th time. The first trimester was a tense time but I firmly believe I wouldn’t be here now with my baby boy if I hadn’t had Denise’s help and support with the acupuncture. I am now visiting the clinic again for cranial therapy for my son as he was a ventouse delivery. This has helped immensely, he is now a very very happy little boy and I’m a very happy mum! © Denise Callaghan | All rights reserved.